Vanua Levu locals pose happily. Open any travel supplement in a newspaper or magazine and advertisements for Fijian resorts will leap out at you: everything from budget to exclusive five-star resorts. At one end of the spectrum a banana chair, a swimming pool and a psychedelic cocktail will be the lure. Traipsing between the bar and a soggy towelled banana chair is the only exercise required. Forget about going outside the resort. Fiji will come to you. At the five-star end, honeymooners and the executive set can loll about in quiet, tasteful hideaways, float in the infinity pool and meander down a ‘Guests Only’ path to the spa/massage bure, so environmentally discreet it is barely visible to the naked eye. Then there is the Fiji I know from sailing around her pretty little islands for the past 10 years. In the islands of Mamanucas and Yasawas, I’ve swum in sublime, isolated anchorages and eaten barbecued fish on a moonlit beach with the locals. North of Viti Levu, I first discovered Vanua Levu years ago. Nestled between green mountains and small islands, Savusavu Bay welcomed us and it was love at first sight. I have returned several times since. Why? It’s a place that tugs me back in the same way that I can watch a favourite black and white movie again and again; you want nothing in the story to change and the editing is perfect. Besides the Fijians, the cast includes generations of copra planters, yachties, Indian merchants, missionaries, mavericks and a group of international expats who now call Savusavu home. Environmental warrior, educator and film producer Jean-Michel Cousteau’s luxury eco resort is a few minutes from town, and motivational guru Tony Robbins owns Namale Resort. But such is the charm of this laid-back former colonial stronghold, that if the only motivation you have is to watch the sunset with a Fiji Gold you can wander down to the Planters’ Club and sit on the verandah. Vanua Levu was first known as Sandalwood Island and in the early 19th century the harbour was a centre for sailing ships plying their trade in sandalwood and bêche-de-mer (sea cucumber). In the 1860s, Australians and New Zealanders established coconut plantations and the descendants from the island’s romantic past give it a character lacking in so many other tourist destinations. With this rich history and its strong sense of community, the common refrain from US expats is ‘this place is like Hawaii was 50 years ago’. Although it is the second-largest Fijian island, Vanua Levu doesn’t, as yet, attract hordes of tourists and air travel is currently by an 18-seater Twin Otter. Our flight path from Nadi takes us north-east over the top of Viti Levu and the Koro Sea. The afternoon sun in a cloudless sky transforms the water below into a glowing palette of turquoise and aquamarine as we buzz like a dragonfly over reefs and tiny flickering waves that dance in the light. Passing west of Taveuni, we slowly bank and skim the green mountains of Vanua Levu, before dropping onto the tarmac. I head straight for the Copra Shed situated on the bay. First built in the 1880s, when copra was a thriving export, the shed has been restored and is now home to Savusavu’s marina, owned by Australian-born Fiji hands, Tony Philp and geologist, Geoff Taylor. Old black and white photos line the walls and give a real sense of its colonial past. As well as the marina and yacht club, it houses a restaurant, coffee shop, offices and a gallery. The bar is a hub for old timers and locals who mingle with yachties, visiting entrepreneurs and whoever happens to be in town. On Friday and Saturday it is party time in Savusavu and you won’t be disappointed. Perhaps it’s because my early childhood was spent on a coconut plantation in Papua New Guinea that this place reminds me of an era I thought had disappeared forever. I choose to stay at the Copra Shed and book one of the two bedrooms upstairs. The rooms are comfortable in a friendly way and by the end of the week I feel like part of the family, anxiously keeping an eye on Sereana, one of the bar workers who was shortly expecting her third child. I didn’t bring my laptop and because I need to do some internet banking, the manager down the road at Westpac gives me his office for half an hour. That’s the sort of place Savusavu is – you get the drift? For me, there’s nothing quite like getting in a 4WD and setting off to explore a tropical island. I hire a car from Eddie Bower at the Copra Shed and head up The Hibiscus Highway. It is one of the prettiest drives in the South Pacific: coconut plantations, old homesteads, rampant green foliage and flowers, potent with colour and perfume, border one side of the road, while the other is washed by the Koro Sea. If you head up a bumpy dirt track as high as you can go, you will be rewarded with breathtaking views over reefs and islands. And if it is late in the day, you can watch the sky surrender to a sunset of flaming crimson and purple before melting into the soft shadows of dusk. If you wish to travel like the locals, take the bus to Labasa, an Indian sugar town on the northern side of the island. The journey of two-and-a-half nail-biting hours takes you up steep mountains in low gear, down the other side in freefall, and through primeval rainforest and fields of sugar cane. On the ascent, the bus brakes and slips backwards to drop off or pick up passengers. I am amazed by the lack of obvious communication between the driver and the passengers but I assume he must have had psychic powers to know exactly when to stop and let his people disembark. The Indian lady sitting next to me has wisely brought a picnic and sensing my nervous disposition, she generously offers me a variety of treats to keep me both sustained and distracted. Pearl gazing is a talent I have perfected over the years, so visiting Justin and Leanne Hunter’s South Sea pearl farm in Savusavu Bay is a no brainer. Growing up in Savusavu, Justin had a dream of farming pearls and after graduating as a marine biologist in the US, he established J. Hunter Pearls in 1999. Justin’s practice of ‘green farming’ is committed to preserving the marine environment while including the local community in his venture, thus providing job opportunities and education. Glowing gold, pistachio, cranberry and chocolate, these pearls are highly sought after on the world market. For nature lovers, Vanua Levu has it all: hiking to waterfalls and hot springs; canoeing, diving, snorkelling and fishing. Excursions can be arranged through the resorts and guides will eagerly share their knowledge with you. Whatever activity you choose, there is no better way to finish the day than with a candlelit dinner and the languid sounds of Fijian musicians. By the end of the week, my vocabulary has shrunk almost to two words – Bula and Vinaka (hello and thank you). Between the laid-back lifestyle and some massages that render me almost unconscious (‘very stressed’ said Viri as she pummels muscles I didn’t know I had), I am so relaxed that even talking seems an unnecessary effort. Planning what to have for dinner is far more important. After I return home, I hear that Sereana from the Copra shed gave birth to a baby girl. I’ll have to book my flight to visit. Fiji Airways (formerly Air Pacific; fijiairways.com) have daily flights from Sydney to Nadi; Fiji Airways flies daily from Brisbane and twice weekly from Melbourne. From $450 return. 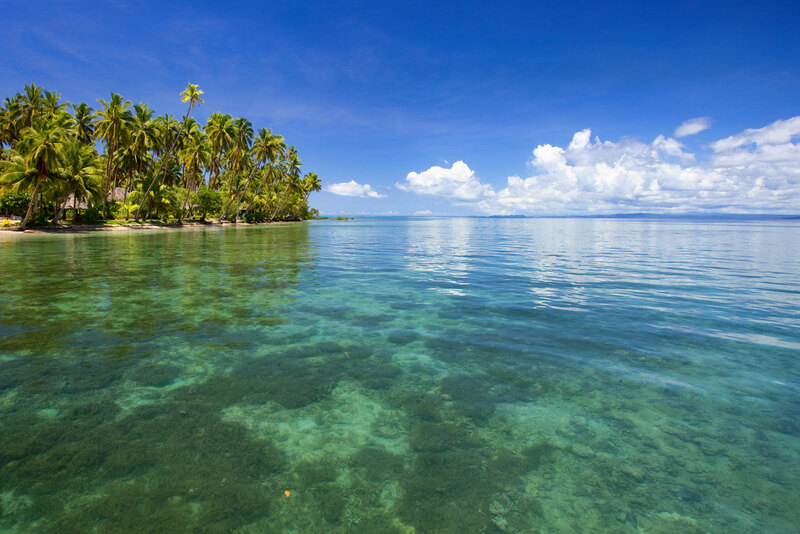 From Nadi, connect with a domestic transfer to Savusavu – Pacific Sun Airlines flies this route twice daily (fijiairways.com). May through to October is the dry season and best time to visit. Savusavu Wok – who doesn’t like good Chinese? Sea View Café is where you will find the best-value Indian curries in town. Or book ahead at a restaurant in one of the resorts if you wish to slip into a floaty Camilla kaftan and experience romantic fine dining. I’d like to mention the place we stayed, it’s absolute wonderful. The view is perfect and the owners such an excellent couple. Narain Heights,I think it has a different name now, but I can gladly give you more information. Mrs Brij and wife Prem, will be delighted. Vinaka!! You didn’t mention the boutique luxury resort The Remote Resort, Fiji Islands. 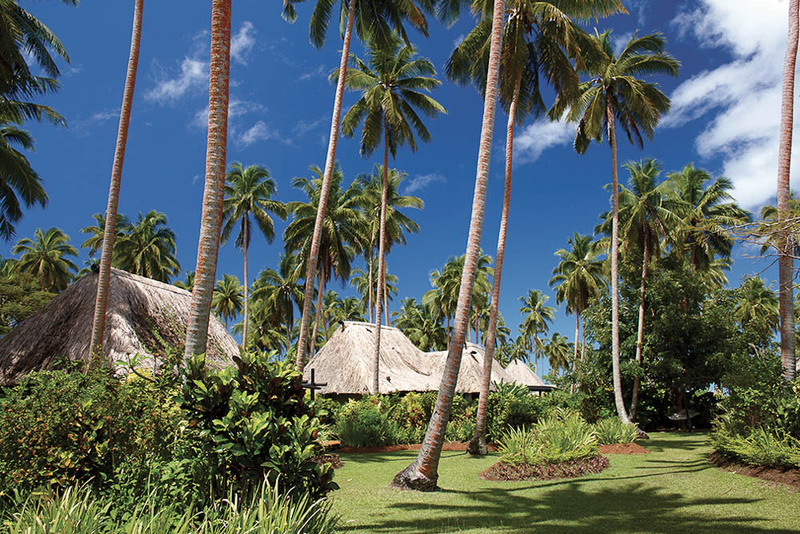 The Remote Resort is located on Vanua Levu north of Savusavu and opposite Taveuni. The resort is accessible exclusively by boat. It has four beautiful private villa’s with plunge pools and a private chef who accommodates to your tastes impeccably. It is a truly special, unique experience with outdoor well designed bathrooms, total privacy and a lounge area on a small bluff where you can have a signature drink looking over ocean views, coconut grove and private beaches. We returned over a month ago and we are still talking about it!